Okay, so there really wasn't an "Asheville, Day 5"... because we knew we'd be checking out in the morning and hitting the road! We were a bit intimidated by the packed parking lot and long line when we arrived, but as a party of two we were quickly seated. I noticed signs that the place mostly ran on solar power, which I thought was appropriate given the name! 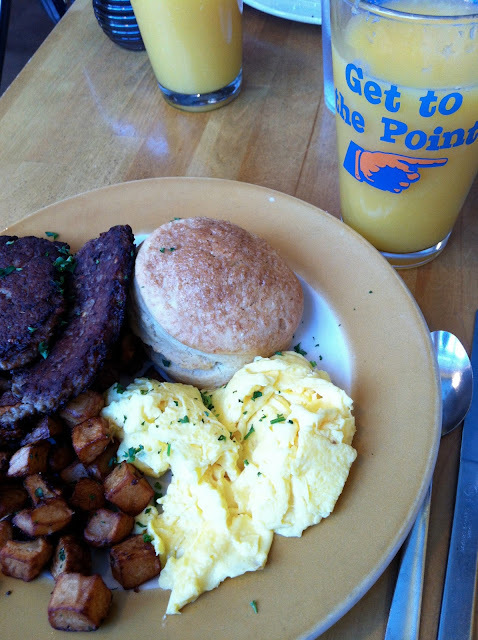 I decided on the MGB (Mighty Good Breakfast) and a tall glass of orange juice. 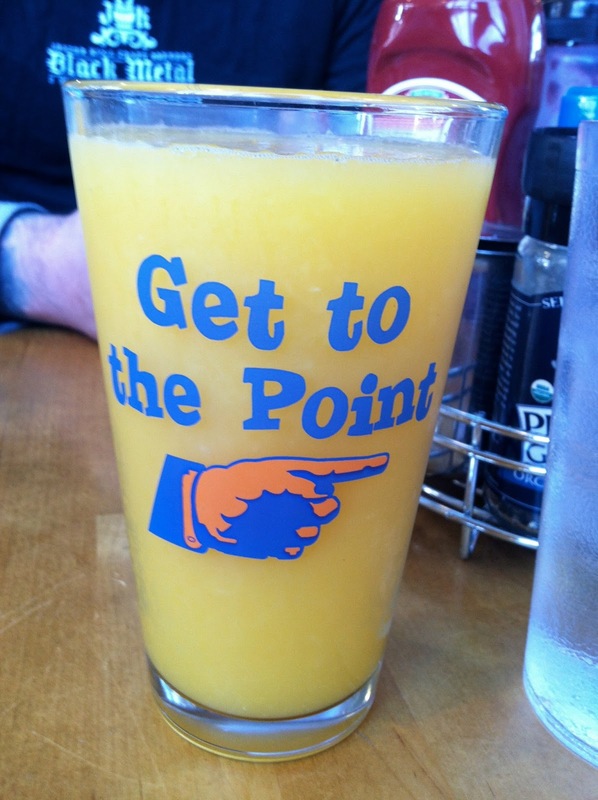 I think I got spoiled on all of the fresh-squeezed OJ in Asheville; how will I ever go back to grocery juice? The meal was good too, with great portions, and the service was pretty spot-on. Duke ordered the Organic Carrot Hot Cakes, and in retrospect should have ordered a short stack... the portions were HUGE! Topped with cardamom cream cheese, even I couldn't resist veggie-filled pancakes. I may have to attempt something similar at home. If I were to come back, I think I might try the Huevos Rancheros, to do something a bit different; a few people near us ordered that, and I had total plate envy! Oh, and did I mention they even have a breakfast salad? And tons of vegetarian/vegan options? 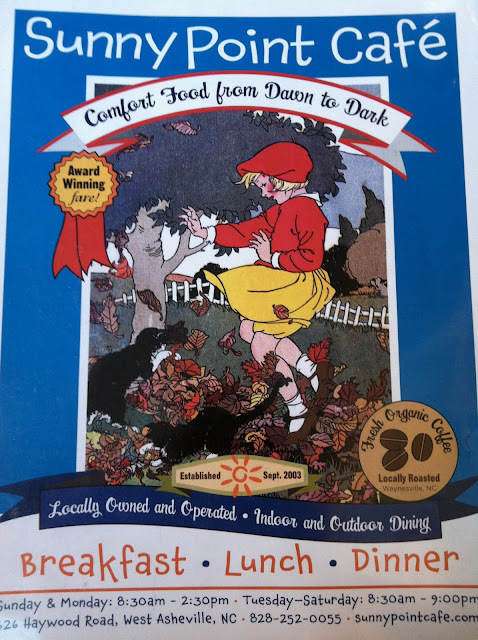 Asheville loves breakfast!